Integrate Philips, GE, Siemens and other OEM X-Ray Rooms to digital radiography in minutes! 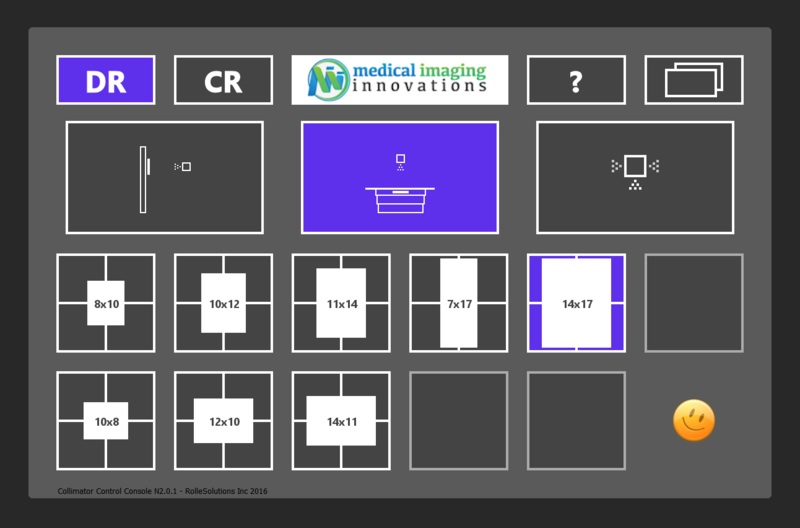 The MiiDR Interface enables seamless integration of DR detectors from any manufacturer into your existing x-ray system. Functionality, such as auto-collimation, and workflow are not compromised, and the interface can be easily disconnected and moved to a new system should the need arise. Any radiographic or fluoroscopic system which requires the technologist to slide the bucky tray out, or remove the cassette after each shot - also known cassette cycling or "cocking the bucky" - or has cassette size sensing and automatic collimation, can benefit from the MiiDR Interface. The MiiDR interface allows your DR detectors to remain in the bucky at all times, reducing the potential for drop damage or workplace injury, and increasing the volume capability of your room. In short, your x-ray room will now act as if it was originally built as a DR room. A Collimator Control Console, which is a small software application that can run on the DR system computer or a small tablet pc, gives visual cues to the technologist, letting them know the cassette orientation (portrait or landscape), and whether the table, wall stand, or free cassette have been selected. It also allows one touch collimation to any of the OEM available cassette sizes. In addition, the collimator size selection via the console is "sticky", meaning it will automatically open to the same size after exposure, eliminating a need to re-collimate.